GOLD FEATHERS. ADVENTURES, INSPIRATION, AND OTHER LOVELY THINGS. : V LATELY. so our little girl turns 8 months today. you already know what i'm going to say. i can't believe how fast she is growing up! without any help at all. a pile of fabric while i was doing some sewing. she looked pretty pleased with herself! and i was pretty excited too. i finally sewed violet her first mama-made baby clothes. gold leggings. i actually have some to match. aren't we silly? wait.... did we have our babies on the same day!? haha Sydney turns eight months today too!!! crazy! 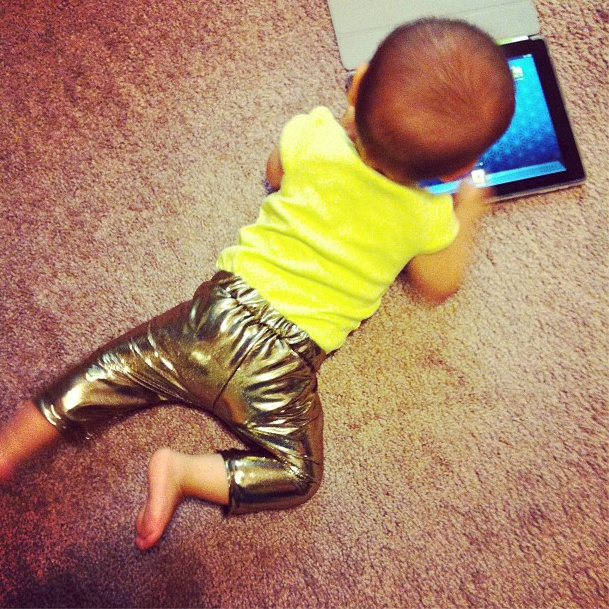 Those gold leggings are too funny! I'm sure you're tired of hearing it but V is sooo cute. 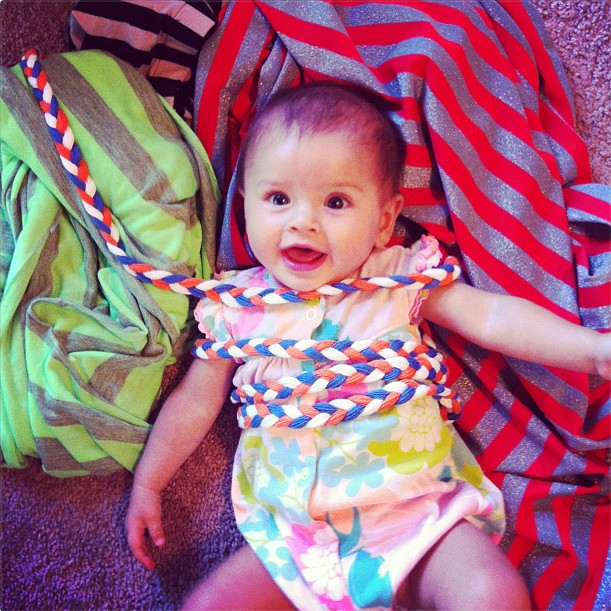 What a silly girl getting all tangled up! Love the leggings. She's going to have style just like her mama! I guess I don't really get tired of it, haha. The leggings turned out so fun. I can't wait to make more! a million instagrams from june.